First, I want to start by saying that I love Westerns. I haven’t seen that many but I always seem to enjoy them when I do. 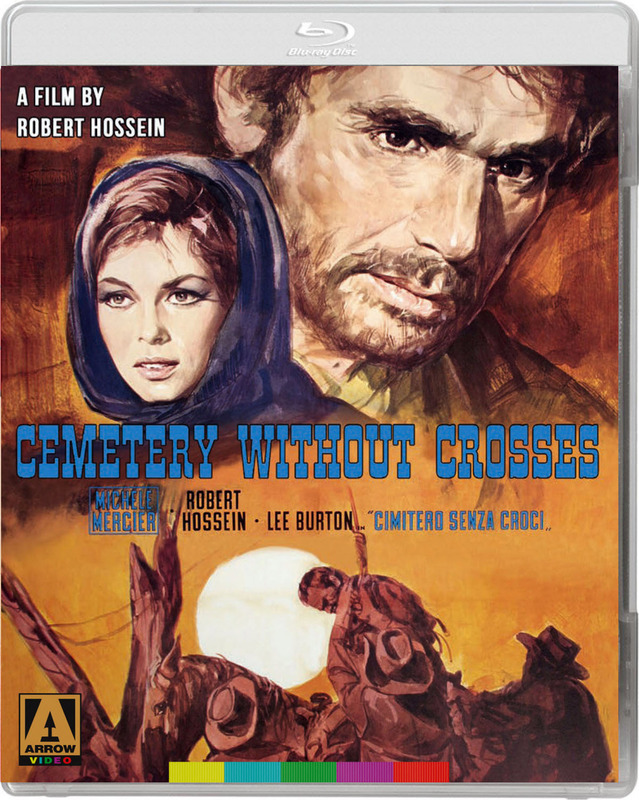 I hadn’t seen Cemetery Without Crosses before, so I was glad when I heard that Arrow Video was releasing it. This movie starts off with a bang, as a man is seen injured on a horse, riding back to his home. Following him are a bunch of “bandits”, or men, who finally catch up to him, and kill him in front of his wife. That’s where the story truly begins, as the wife is dead set on getting revenge on the men who have killed her husband. She turns to an old friend, who then “makes nice” with the killers, so that he can bring them down from the inside out. Every time I saw the main character put his one black glove on, I knew something was about to go down…and I couldn’t wait. I really liked the story for this one, and I thought that it was well executed. The characters were unique, and the acting was great. The Picture and Audio Quality all together, looked and sounded great. The score added a lot to the movie, making it even better. It added a perfect feel, and set the tone nicely. Overall, if you’re a fan of old school Western movies, this is a good one to watch. It was a lot of fun, and it wasn’t predictable like a lot of them usually are. I definitely recommend watching it, and/or picking it up.